typically i'm not one for holiday home decorating. with the exception, of course, to Christmas & thanksgiving. it’s not because i have some deep seated belief against it or anything. growing up our home was decorated for all calendar holidays. my mom was is a holiday decorating enthusiast. it's just, well, i'm kind of lazy about it. i mean well. i do. i want to throw up the calendar appropriate flare. it's just that by the time i get around to it the holiday's gone. not this year! in part to laziness and separation anxiety i "decorated" a bit for v-day. and i'm ahead of the game. every year when removing Christmas decorations i get major weepy. actually i delay the process for weeks. we still have our Christmas light up. don't tell the HOA. i can't help it. this year i fell stupid head over heels in love with my ribbon garland. it's not coming down no matter what you say ben! to ease the passing of Christmas and to pacify me into the new year the home agreed to leave the red & gold up until valentine’s day. 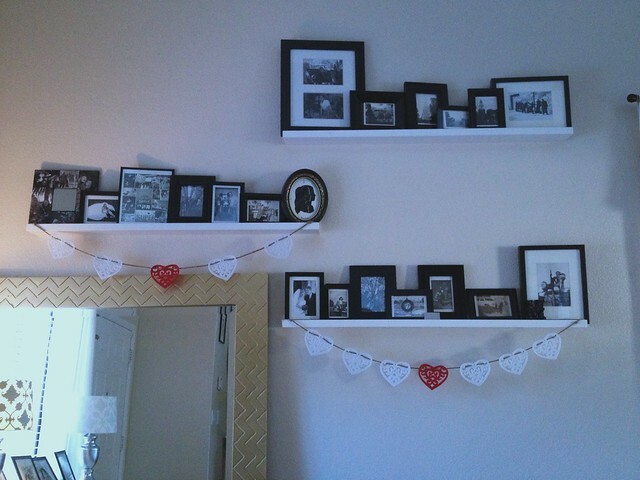 to make the ribbon garland more intentional, and less obvious that i have holiday separation anxiety, i created a heart garland. super easy, this craft. actually, these were Christmas ornaments i got for $.50 after holiday last year. i just weaved some burlap twine through the hearts and attached em to the shelving. EASY. 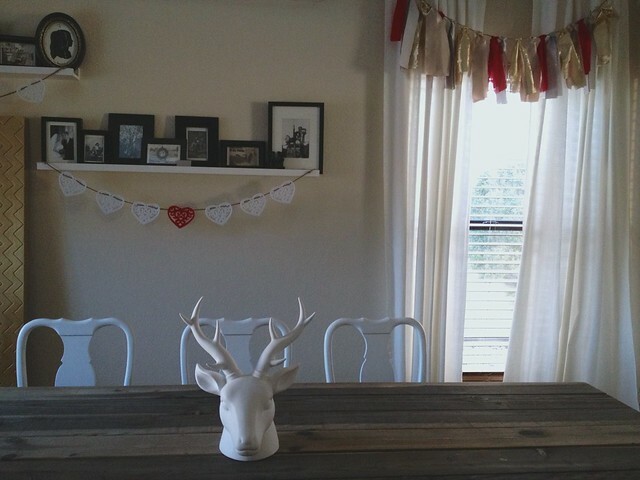 I think you should blog about the adorable tassle garland on your windows! aw i love your little window "swags"! 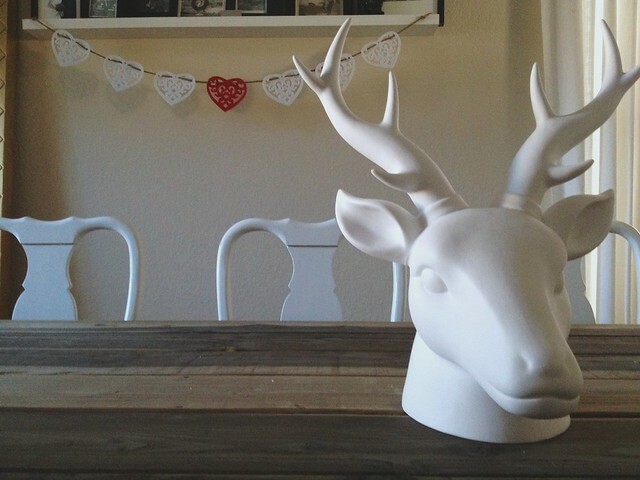 :) i always have grand valentine's day decorating ideas, but so far they are falling pretty flat. look at you going post crazy! :) i happen to love it! 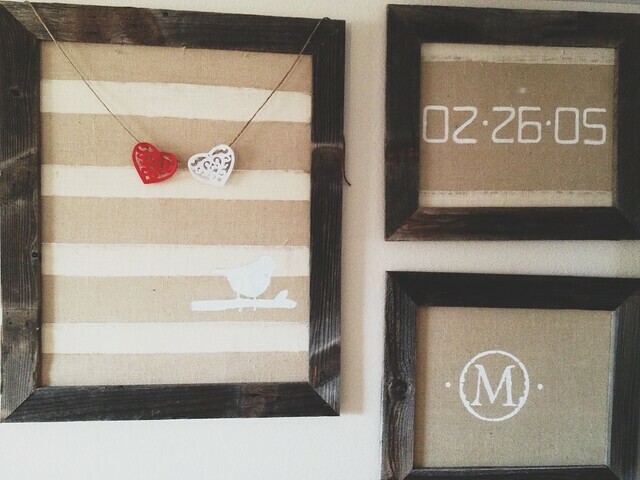 and i love this garland valentine's is soooooo much fun! and this is the perfect decor! 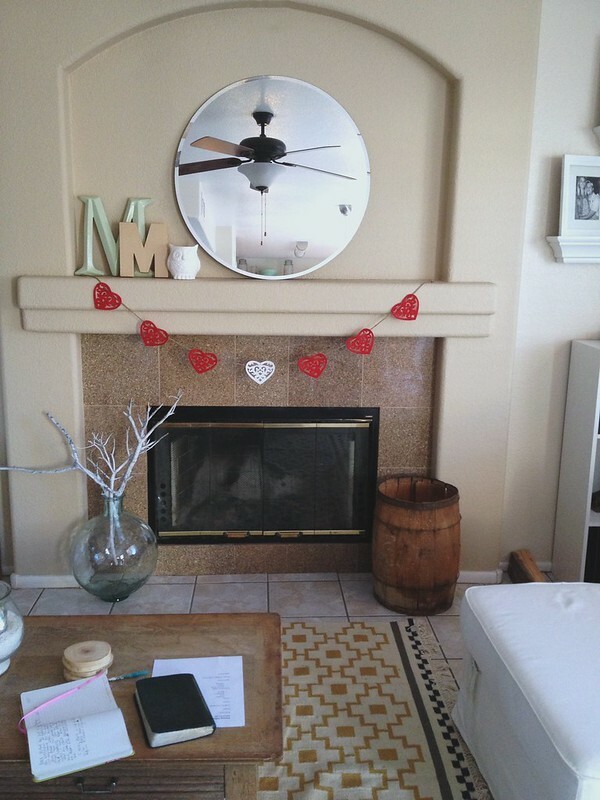 I love this clean valentine decor. 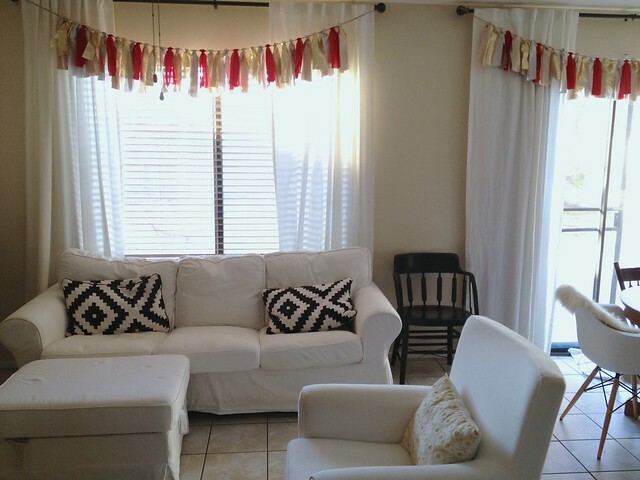 The little addition of red on your garland is all you need to celebrate the holiday. Thank you Jaclyn. Yeah i'm really loving the pops of red! haha, yes i'm trying to get back in the flow of posting :) thanks so much! yes please do a post on the ribbon garland!!!! your tassel garlands are darling! You gave some good ideas here!